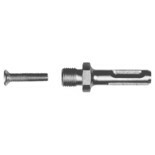 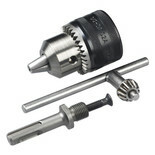 A Heller "Pro Quality" drilling tool. 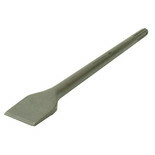 Which is strong and powerful in Stone and Concrete.Tile Chisel. 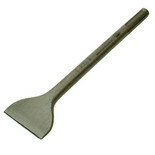 Designed specifically for removing tiles from walls and floors. 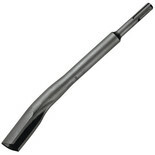 A Heller "Pro Quality" drilling tool. 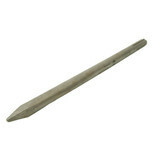 Which is strong and powerful in Stone and Concrete. Flat Chisel. 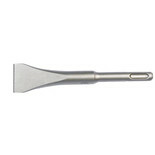 For the specific breaking up of material and all chisel/demolition work and penetration. 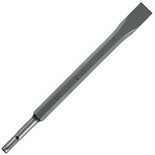 A Heller "Pro Quality" drilling tool. Which is strong and powerful in Stone and Concrete. 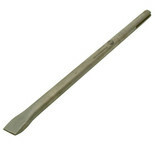 Spade Chisel. 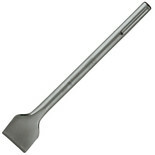 For the universal removal of material on a large scale. The right choice for every chiselling job when removing tiles.Special angle guarantees optimum results in chiselling process. 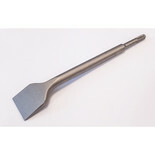 This Heller SDS+ Spade Chisel is 40mm x 250mm long and helps to increase comfort with reduced vibration’s.